Sheffield-trained European champion Natasha Gale has been ruled out of defending her title next month after being suspended from the GB Boxing squad for disciplinary reasons. The 30-year-old, who won the title in Bulgaria two years ago, has not fought since suffering a disappointing defeat to Australia's Caitlin Parker in the women's 75kg quarter-finals at the Gold Coast Commonwealth Games. In a statement, GB Boxing said of the Leeds-born, Abbeydale-based fighter: "Natasha Gale has not been selected for the 2018 EUBC European Women's Boxing Championships as she is currently suspended from the world-class performance programme following a disciplinary process into her conduct as a member of the GB Boxing squad." 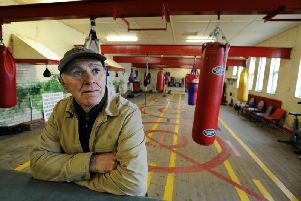 Gale trains at the English Institute of Sport in Sheffield as well as honing her skills at the city's ABC boxing gym.